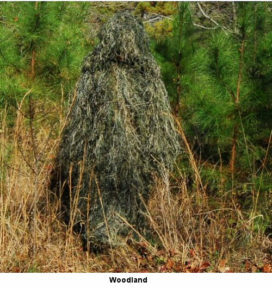  Add more material to an existing Ghillie. 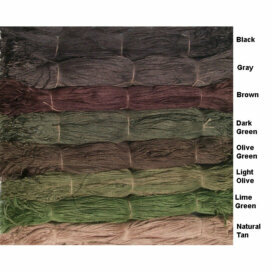 Our Ultra-Light Jute Thread is available for purchase by the half-pound bundle. Each half pound bundle is equal to almost 1.3 lbs. 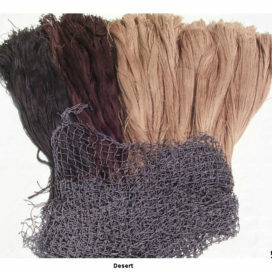 of Jute thread. The strands are bout 20″ in length. We have 7 different color to choose from. 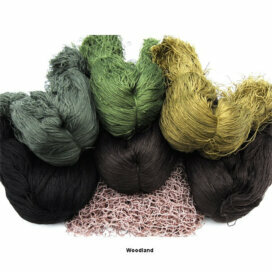 The Woodland color has all the 7 colors premixed together in a half-pound bundle. 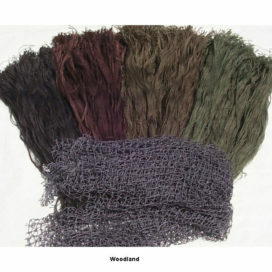 You can buld a woodland pattern suit with this. Our Woodland Ultra-Light Jacket and Pants uses this same color combination. 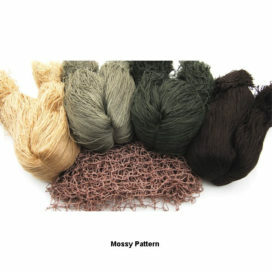 The Mossy color has all the colors premixed together for a mossy pattern suit. Our Mossy Ultra-Light Jacket and Pants uses this same color combination.